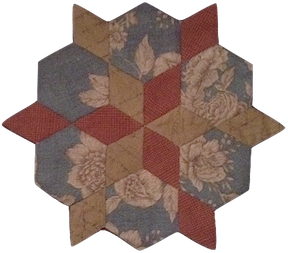 If you like English paper piecing, you will love our New English "plastic" piecing templates. Watch Margit (the creative designer) demonstrate how to use the templates. So what's so great about them? Each template is designed for multiple uses. Each template can be folded to make a secondary shape, ie: the diamond folds in half to make a triangle. The templates allows crisp edges when you baste around them. The templates "forces" you to only take a small "bite" of fabric when sewing two templates together. No more visible big stitches. Mix and match same size templates to create multiple designs, ie: 1" hexagon works with 1" diamond and 1" jewel. Did we mention how reusable they are? Pinwheels is the official distributor of the EZpiecer templates.